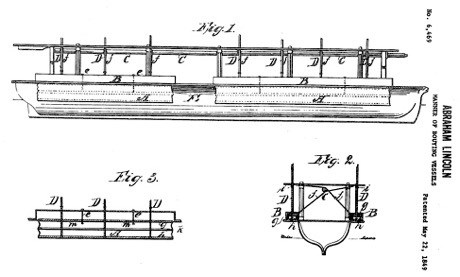 Abraham Lincoln, Inventor. 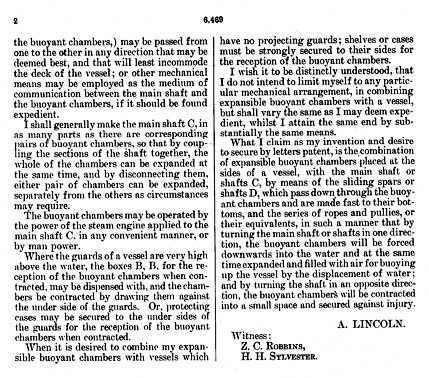 Lincoln is the only US president to have an issued US patent, 6469, issued 22 May 1849, for Buoying Vessels Over Shoals. 9 April 2012. 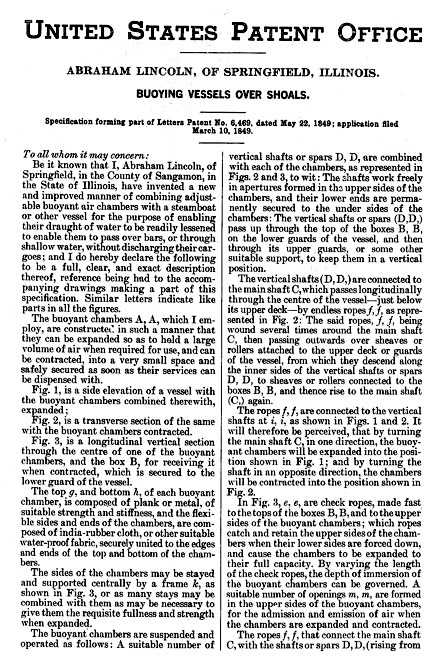 The Purdue Society of Professional Engineers, a group of 14 college students, ingeniously designed and built a 300-step machine to blow up and pop a balloon. 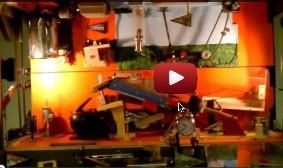 The world record holder as the biggest Rube Goldberg Machine took six months and over 5,000 person hours to design and build. For this, the 25th anniversary of the contest, the Purdue Boilermakers incorporated all 24 assigned tasks of the earlier contest years.